Skin care myths are almost as widely accepted as skin care truths. Chances are you’ve heard things about how chocolate is Public Enemy #1 for your skin or how to successfully change the size of your pores. We’ve seen a lot of both fact and fiction in our day, and we’re ready to share some of our knowledge. Keep this infographic handy when crafting your skin care routine! We wouldn’t want you falling victim to any of these skin care myths! When you think of relaxation, you might imagine a woman lounging on a chair with cucumber slices over each eye. While cucumbers are soothing, smell wonderful, and provide hydration, the effects are only temporary. We suggest saving time and money and using a cold compress instead. A good eye cream also does the trick! Raise your hand if you’ve heard this one! Though our skin is often affected by what we put into our bodies, eating chocolate is not directly linked to acne. Breakouts are mostly caused by hormonal factors, bacteria, and stress. So, feel free to indulge. We won’t tell! Yes, the term “age spots” is a misnomer. In fact, the uneven tones and brown spots on the skin result from environmental exposure. Years of being exposed to the elements leads to the formation of enzymes in the skin, which then cause visible imperfections. While this damage is not entirely inevitable, you can slow the process by applying moisturizer. A good lotion creates a protective layer between your skin and environmental irritants. Makeup addicts rejoice! There is no scientific research that attributes acne to wearing makeup. However, if you’re not removing your makeup correctly, that’s where bad things start to go down. Improper makeup removal leaves residue on the skin. This eventually leads to clogged pores. Plus, if you’re using acne products, that makeup residue can block the healing ingredients from getting into your skin. No matter how tired you are, always remove your makeup before hitting the sack. Contrary to popular belief, pores cannot open or close. Pores are simply openings in the skin; they are not muscles, so there’s no way to change their size. Yet, fear not! You can always make them look less apparent. Your pores may look larger due to dead skin cells or scarring from popping pimples (been there!). The answer? Gentle exfoliation and a skin-smoothing toner. Something that’s not a skin care myth? 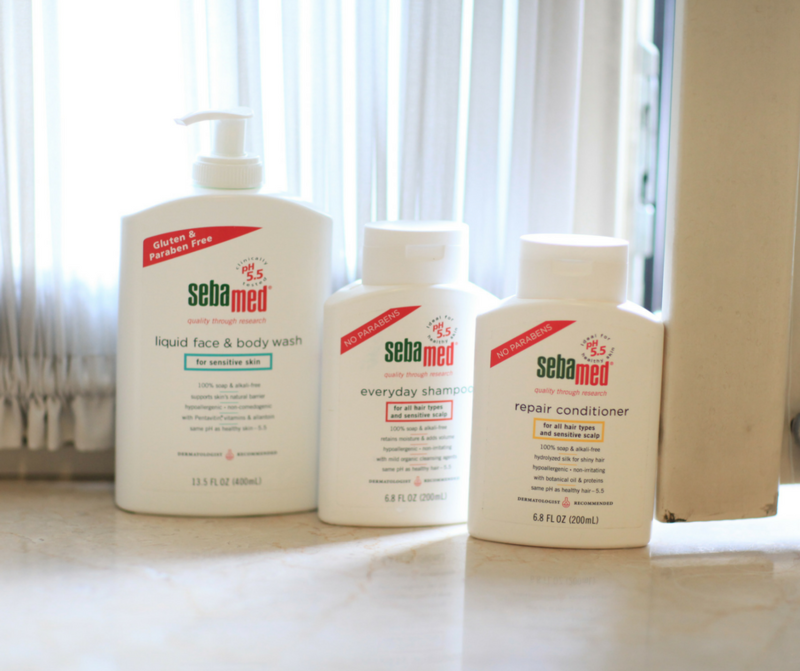 Sebamed’s products are gentle, effective, and suitable for all skin types. Our mild, pH-balanced formula strengthens your skin barrier with each use, protecting you against delicate skin conditions, including eczema, psoriasis, and acne. Check out our complete product lineup here.